Meet Melissa Lopez, a single mom to 4 beautiful young children, a full time Inclusion Aide for Department of Special Education at a local school district, and a part time student. Impressive already! 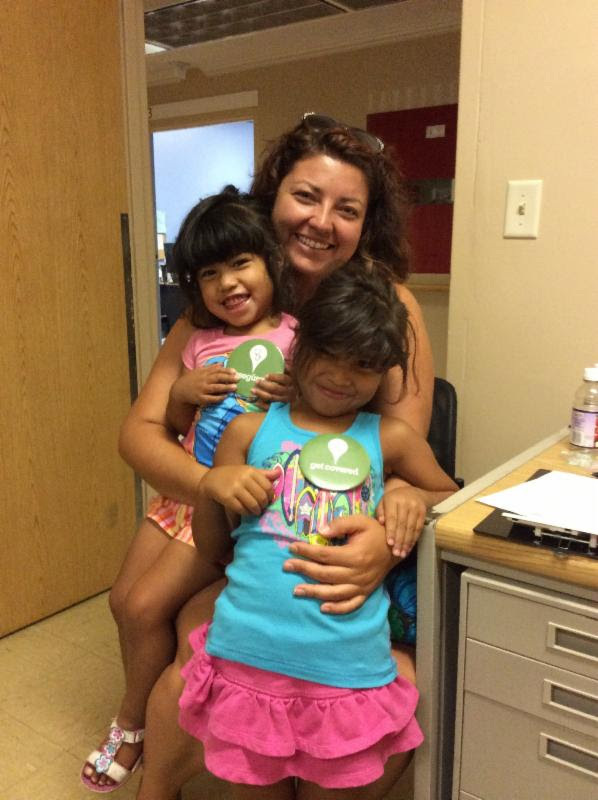 CHI of Kern County had the pleasure of meeting Melissa and her two friendly daughters (pictured above) when she came in to explore her options for health coverage. To her surprise she was able to get peace of mind at a very affordable price! As a classified employee for the school district, Melissa’s options for health coverage, for even just herself, were very unaffordable. With a single income to support her family she was faced with having to make tough decisions, like whether to continue her studies towards a teaching credential or using that money to pay for health insurance instead. Melissa, you truly are a Hidden Hero and it is CCHI’s honor to award you and your family tickets to a local event like a sports game or fun children’s show of your choice. You deserve it for all you do for your family, the children you work with and the dedication you have to your very bright future! P.S. Word on the street is that Melissa is doing even more to tell others about affordable health coverage and is now working on a very special project with Building Health Communities in South Kern! Way to go Melissa!